Brushes... one of those key ingredients to make-up and it's application. I honestly don't know how I use to apply my make-up with no brushes when I was younger - what on earth was I thinking, I dread to think what I looked like! Back when I was about 15 I used probably 1 brush and that was just a cheap little kabuki brush to apply some bronzer - everything else was done with my hands... opps! I like to think I've come along way since then, it's 9 years later and I owe more make-up brushes than kitchen cutlery but there are a few that have a firm place in my daily make-up routine and those are rhe brushes I'm going to share with you today! These are the 5 brushes that I use the most. Brushes that I use daily and brushes that, now, I couldn't see myself living without - they are my fav's and are all pretty affordbable in my opinion! I love this big fluffy brush. It's perfect for using with a powder after foundation to help set it and I use it daily - also fab if you want to add some bronzer to your neck and chest! I use this for my Seventeen Pwhooar Paint concealer and it works wonders! So good for blending - I will never use my fingers for concealer again! Would also be great for contouring! This is the greatest foundation brush I've ever used! I hate your standard flat foundation brush - I've never go on with them and just don't get them! I love a flat buffing bruh like this and this works so well with any of my favouite foundations! This thing is a lifesaver! This angled brush is what I use with my Sleek contouring kit - which, to be honest, I don't know how I lived without! The Sleek kit has become a staple in my make-up bag and this brush with it, I hardly go a day without it! This brush is fab for using along my cheek bones and jaw lines with the bronzer and then I flip it to the other side and use it for the highlighter! Yes yes yes I know this is an eyeliner brush BUT for me this is my eyeBROW brush! This size and shape is perfect to help me fill in my brows with my HD brows palette and I have been using it for years! 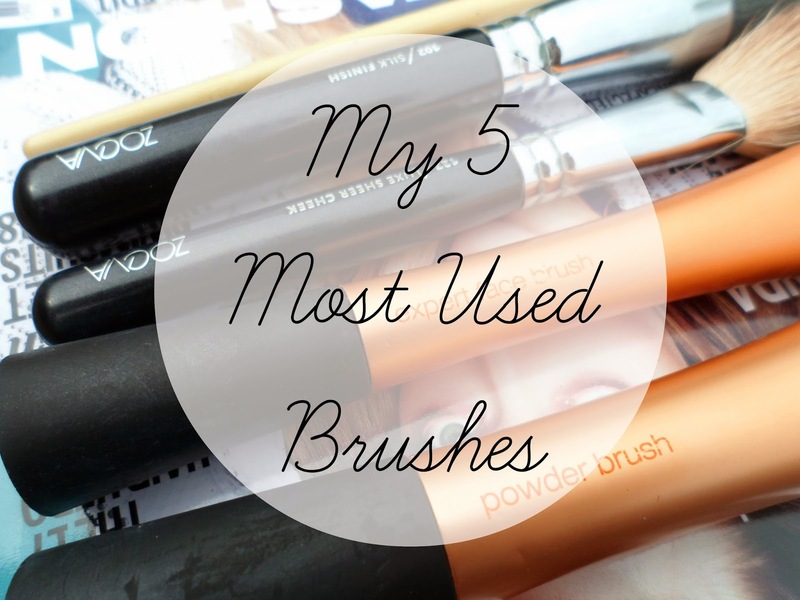 So there you have it - my 5 most used brushes! Was this a bit of a boring post?! 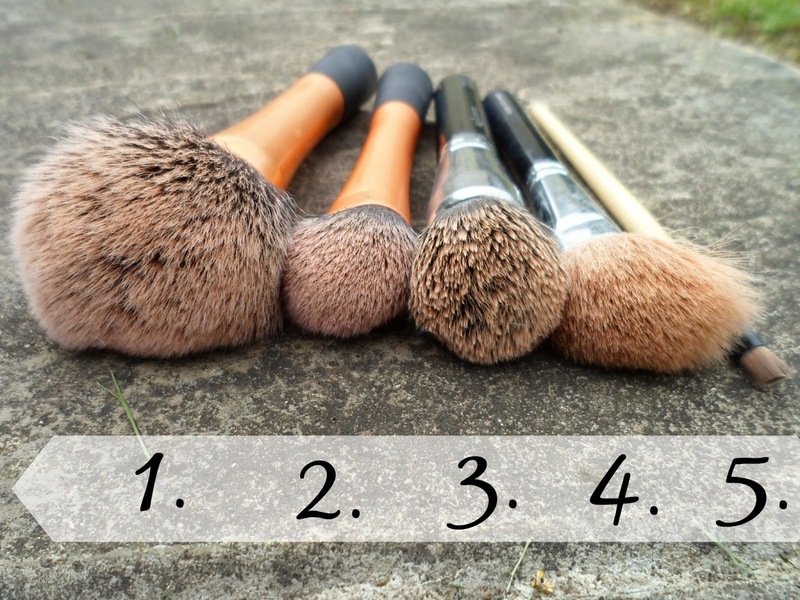 What brushes do you use the most and which are your favouites? I love Zoeva brushes - I'll confess that I'm waiting for my rose gold set to arrive. Eeee! I really need to get on and try some of these real techniques brushes. I have never heard of Zoeva, I'll have to take a look at those! I use the RT Powder Brush every single day, I love it! definitely some great picks! Zoeva and real Techniques are my favorite brushes as well!!! I have abused my expert face brush, such a good brush! I love seeing other bloggers most used brushes! I need some Zoeva brushes in my life! I own a few RT brushes and they are seriously the best drug store brushes on the market. I can't live without my Sleek Contour Kit either. I'm going to add it to my makeup kit too for my clients. It's just so perfect and handy!